AA 6063 is an aluminium alloy, with magnesium and silicon as the alloying elements. The standard controlling its composition is maintained by The Aluminum Association. It has generally good mechanical properties and is heat treatable and weldable. 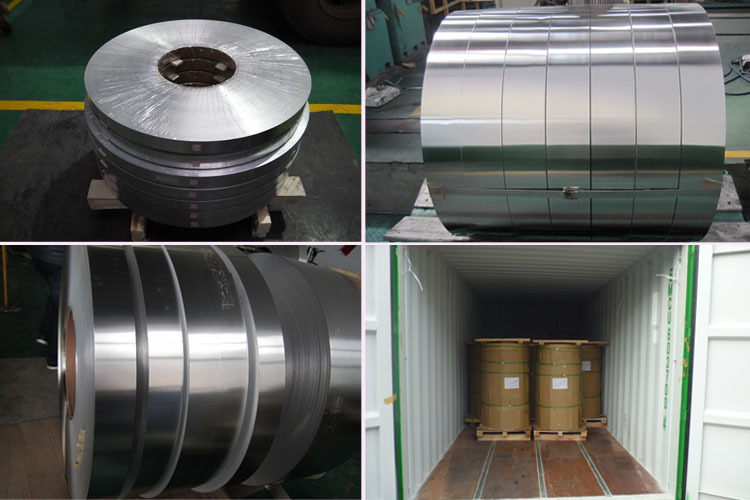 haomei aluminum delivers customized 6063 aluminum strip, plate and coil with excellent properties like weldability, corrosion resistance and machinability. The mechanical properties of 6063 depend greatly on the temper, or heat treatment, of the material. Commonly used tempers are O, H4, H6, H651, F and etc. 6063 is the most common alloy used for aluminium extrusion. It allows complex shapes to be formed with very smooth surfaces fit for anodizing and so is popular for visible architectural applications such as window frames, door frames, roofs, and sign frames. 6063 Aluminum strip products of haomei . meet the export standard. Plastic film and brown paper can be covered at customers’ need. What’s more, wooden case or wooden pallet is adopted to protect products from damage during the delivery. There are two kinds of packaging, which is eye to wall or eye to sky. Customers can choose either of them for their convenience. Generally speaking, there are 2 tons in one package, and loading 18-22 tons in 1×20′ container, and 20-24 tons in 1×40′ container.